First off I do not plan to add to my family, I am sterilised and happy *smiles*. I do however appreciate a good pregnancy and beyond skincare range because they're typically made with really nourishing ingredients, pregnancy safe ingredients and come in cute packaging - I've yet to be disappointed by pregnancy products which is why I feature them from time to time. First up this comes in a large 300 ml size, I go through so much body butters and body creams it's seriously crazy (3 of The Body Shop large body butters a month as a minimum). 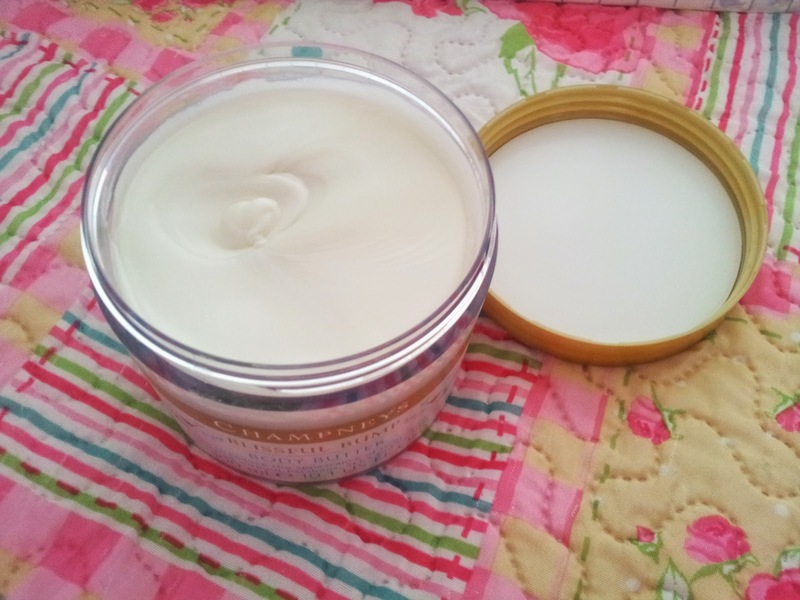 I tend to look for a few things with lotions and creams and those are thick and creamy texture, non-oily, absorbs into the skin well but doesn't leave me feeling dry again within the hour (I like at least three hours out of my creams if possible) and a cream that's not hugely fragranced because it clashes with other perfumes, dries out the skin and for me it strong fragrances can cause migraines - who else gets that? 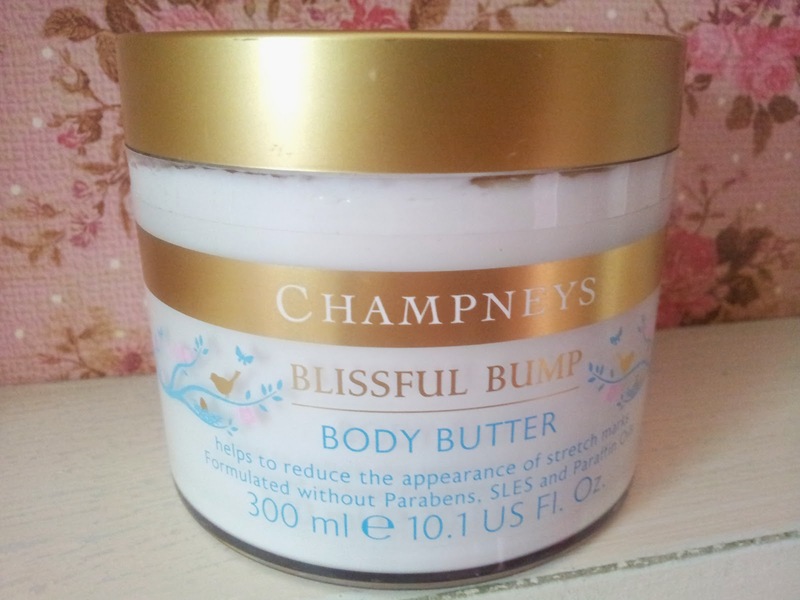 The Champneys Blissful Body Butter is formulated with natural extracts such as Shea and Cocoa butters, Chlorella extract, Evening Primrose oil and Coconut oil. It's all good stuff to be honest and you can really feel the difference between creams such as this that uses good, natural ingredients in comparison to synthetic, lab created ingredients. Champneys have always super exceeded my strict needs when it comes to skincare and I definitely feel as though I'm treating myself to a bit of luxury when I use them, the thing is they're not even that expensive but they work on par with larger and more expensive brands. I say save your pretty pennies and opt for these types of products every time. This was purchased from my local Boots but you can get your bump and body on this via the Boots Website for the bargain price of £6.67 in the sale (was £10 which is still fabulous isn't it). This will also last a while and is suitable for all of the family - sharing is caring folks.